I love this glass so much that I started designing tonight’s mosaic this morning when I should have been getting ready for work (I was only a little late for work). The colors are so much fun I just can’t resist playing with them. I love the contrast of the shiny glass bird and the dull clay tiles in the background. 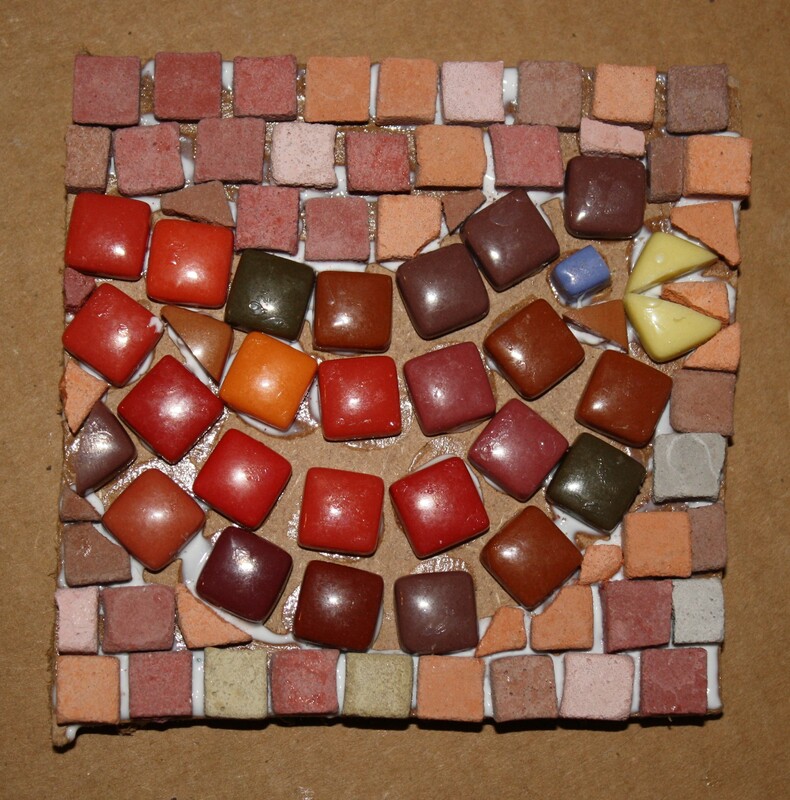 The glass tiles come is many colors and I’d like to do some more complex designs but it’s hard on a 4 inch square. I may have a solution. We’ll see tomorrow if I can pull it off.